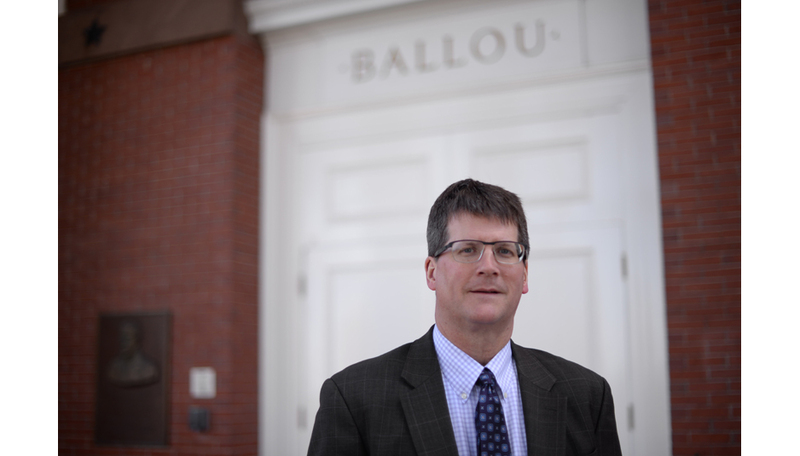 Eric Johnson, who has been a staff member at Tufts for the past 28 years, was recently promoted from vice president to senior vice president of the University Advancement Division. He will start in his new position on Friday, April 1. Johnson started working at Tufts as a development officer in the School of Arts and Sciences. He held his former position as the vice president since April of 2012, according to a March 17 article in Tufts Now. In his former position, Johnson worked to increase university fundraising in a series of different initiatives. According to a March 16 email to the community from university President Anthony Monaco, Johnson has played a central role in the success of recent fundraising campaigns. According to Johnson, although his job title might be changing, his responsibilities remain largely the same. He will continue to work with the university president, the provost, the deans and the other staff members in the Advancement Division. Johnson explained that the Advancement Division collaborates with university leadership and volunteers to work on alumni relations, as well as fundraising activities within all schools of the university. This mission is realized in many forms, including scholarships, job opportunities and internships, he explained. “[The promotion is a] recognition of the importance of the University Advancement Division and the role it plays for the university,” he said. Johnson said he is currently working on a new campaign to be publicly unveiled in around two years. The last major campaign held by the Advancement Division was named “Beyond Borders” and ended in 2011, he explained. According to Johnson, the focus of the most recent campaign is alumni engagement. “This stronger volunteer structure will help us meet ambitious goals to raise funds for financial aid, faculty development and research, improved facilities and other priorities,” Johnson said. The division is already recruiting for the new campaign, which is intended to continue longer than the last campaign. Johnson explained that the goal is two-fold. “[We aim to] raise money to enhance the student experience…but also to engage alumni and others,” he said. He explained that the campaign’s effects can already be seen on campus, notably in projects which are currently under construction on the Medford/Somerville campus. “The gifts that have supported both the [Science and Engineering Complex] and [Collaborative Learning and Innovation Complex] will be included in the campaign that is currently in the leadership phase,” Johnson said. Johnson also actively participates in marathons every year, on his own and with the Tufts Marathon Team. “He helped organize… [the university’s] Boston Marathon team and has been competing with the Tufts team since,” according to an April 2009 article on Boston.com. The Tufts Marathon Team raises money towards nutrition and wellness research on all of the university’s campuses. According to Johnson, the group as a whole raises about $400-500 thousand annually. Each participant takes a funding target and pledges to raise that much. Johnson said he tries to take a higher number so that more students, who can not raise as much, can participate. “[It’s wonderful to] get to know different people in the process,” he said.